Is there any way to turn this black popup off? do you press #key in this screen? Because you can configure two Presets for the Numeric Keypad. 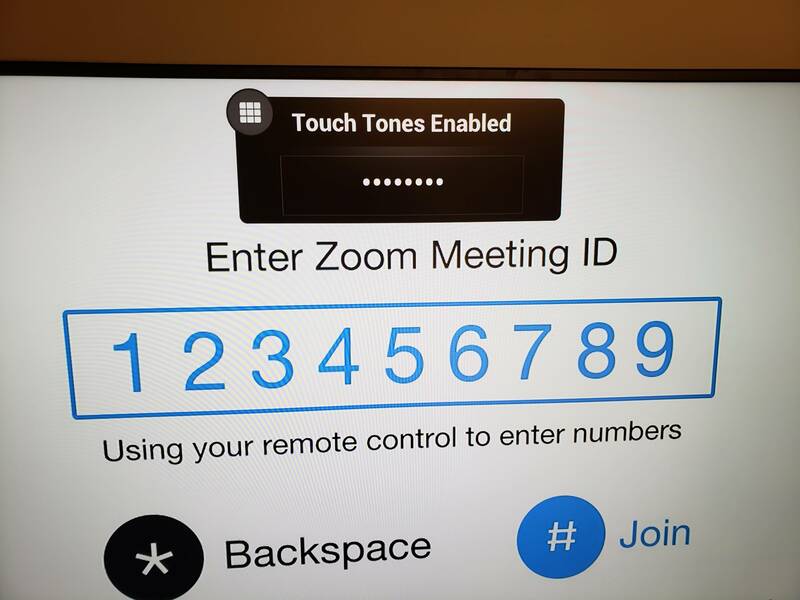 It specifies whether pressing number buttons on the remote control or keypad moves the camera to presets or generates touch tones (DTMF tones). If this is set to Presets, users can generate DTMF tones by pressing the # key on the remote while on a video screen. Have a look at the Admin-Guide for further details. Hi mschulzeR, yes I am aware of the setting you are refering to. We rarely use camera presets, so we have the default for the number pad set to "Tones" instead of presets so that we don't have to push # before entering numbers. Either way, this redundant popup appears and I'm asking if there is a way to hide it. Thanks!